If you think the New England scenery is spectacular at ground level, wait until you see it from up high. 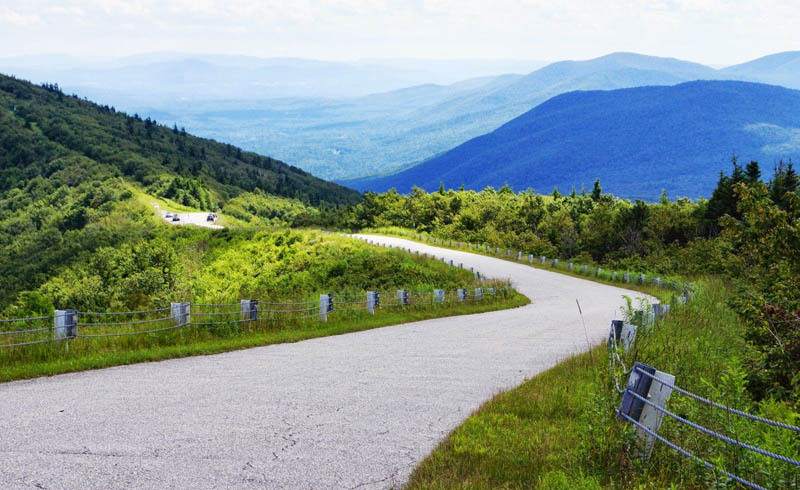 New England is tops for scenic mountain summit drives that take you above the trees for an entirely different view of autumn's brilliant foliage or the lush greens of late spring and summer. Best of all, you can arrive at the mountaintop fresh as a daisy in the comfort of your own vehicle. Even if you like to hike, driving to the peak allows you to save your energy for exploring once you've reached the point of most panoramic views. 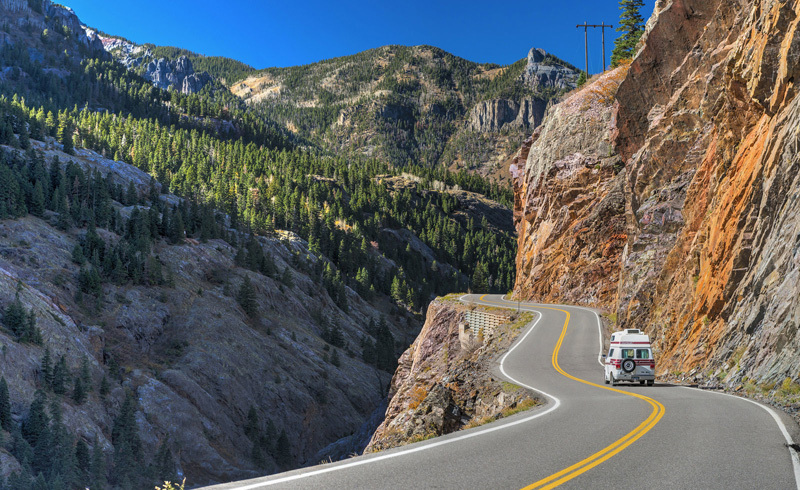 Here are some picks for the five best mountains you can drive. 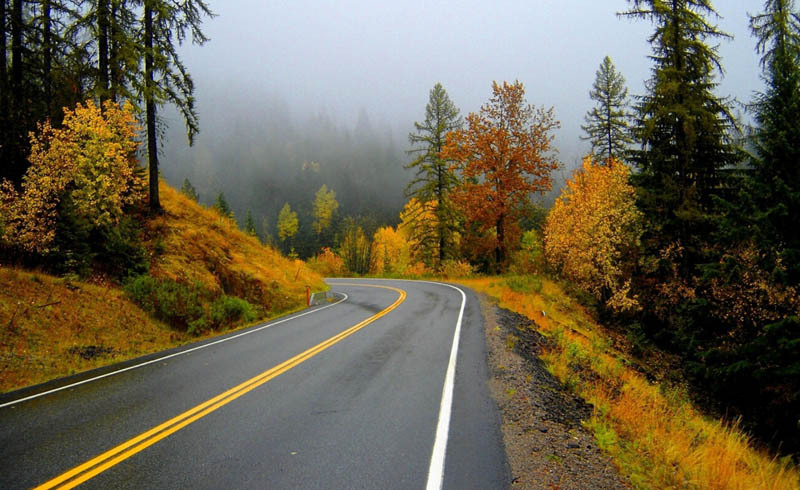 Keep in mind that access to these mountain roads is seasonal, so it's a good idea to call ahead from late fall through early spring. The Mt. Washington Auto Road is the mother of all New England mountain drives. That's because New Hampshire's Mt. Washington is the region's tallest peak. Don't be surprised to find the weather atop Mt. Washington radically different from what you left behind when you began the eight-mile journey. Often, there is still snow in June. Mt. Washington didn't earn its reputation as the home of the world's worst weather for nothing. The 6,288-foot peak set a world record in 1934 for the strongest wind—231 miles per hour—and it was only determined in 2010 that a stronger, 253 mph gust had hit Australia's Barrow Island during a cyclone in 1996. You're likely to need a jacket at the summit, even on the hottest summer days. The "Road to the Sky" opened to horse and carriage traffic in 1861—it is quite an engineering marvel. Reputed to be the nation's first man-made attraction, the Auto Road continues to provide travelers with an opportunity to reach the "top of New England" in just about a half hour. At the summit, you can enjoy spectacular views of the Presidential Range and beyond, plus visit Extreme Mount Washington. Fees and some vehicle limitations apply. If you don't think your car is up for the climb, guided van tours are also available. 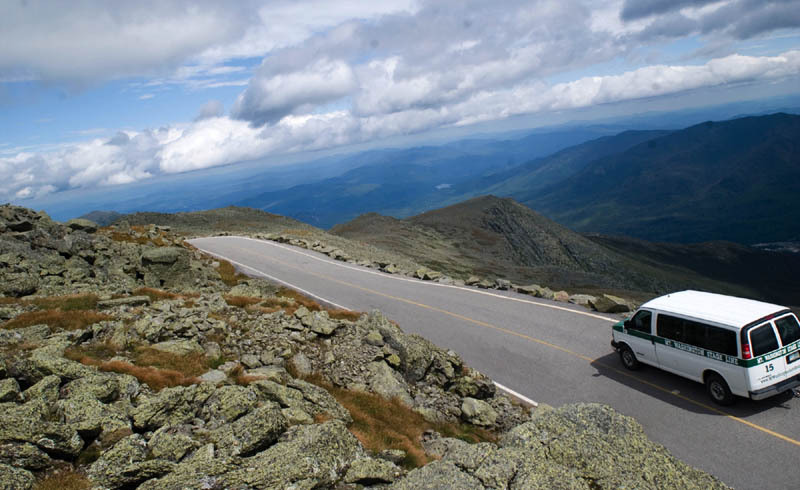 Directions: The Mount Washington Auto Road is accessible from Route 16 north of Pinkham Notch, New Hampshire. 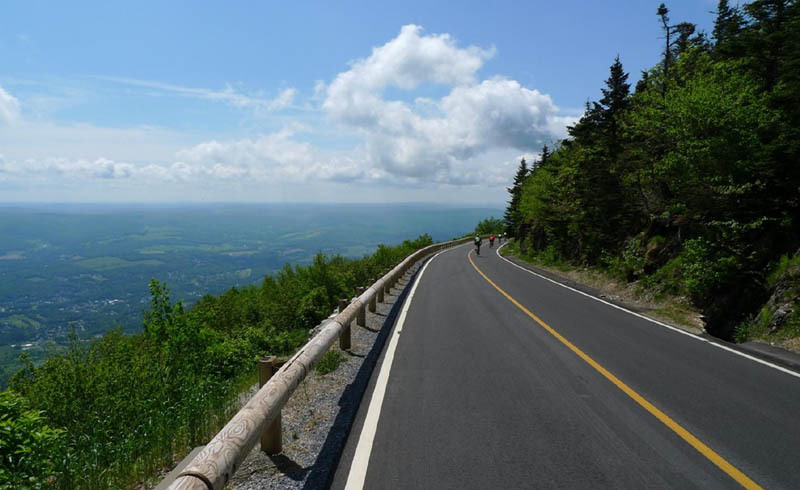 Serious drivers will love the Mount Equinox Skyline Drive's hairpin turns and dramatic climb to the 3,848-foot summit of the highest mountain in the Taconic Range. The 5.2-mile upward climb is the longest, privately owned, paved toll road in the U.S. Interestingly, it's owned by monks. The road and about 7,000 surrounding acres on Vermont's Mount Equinox were given to the Carthusians, a Roman Catholic monastic order, by their former owner, the prolific inventor and former President and Chairman of Union Carbide, Dr. Joseph George Davidson. The Carthusians' quest for serenity can be yours when you embark on this breathtaking trip, and your tight grip on the wheel will be rewarded with majestic views that stretch as far north as Canada and encompass parts of five different mountain ranges. Fees apply. Directions: The entrance to the Equinox Skyline Drive is on Route 7A south of Manchester, Vermont. Mount Equinox is on the western side of Vermont, but if you're staying on the eastern side of the state, there's a mountain for you, too. Visit Mt. Ascutney State Park for your chance to drive to an elevation of 2,800 feet on the Mountain Road, which carries you almost to the summit of Mount Ascutney. From the parking area, the actual peak is a short hike of not quite a mile. You can also climb a fire tower for expansive views in all directions. 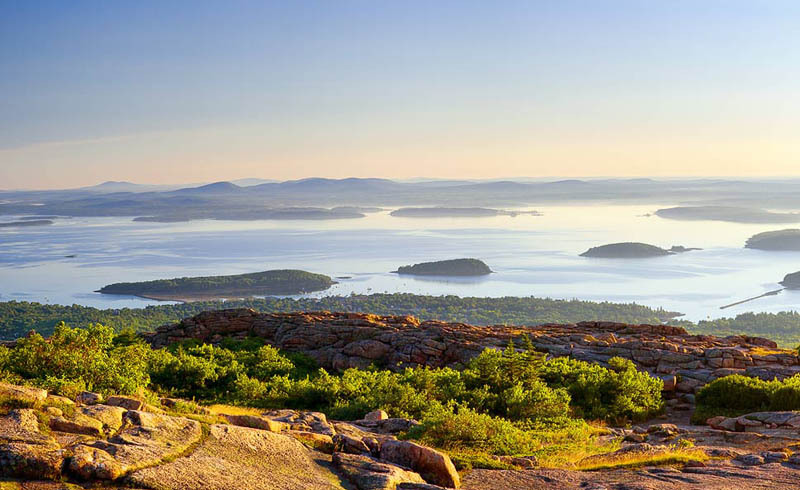 At 1,530 feet, Cadillac Mountain in Maine's Acadia National Park can't rival the big peaks of New Hampshire and Vermont. However, it can boast of being the highest point on the entire Eastern Seaboard, and even more intriguing, it's one of the first spots in the USA to see the sunrise each day. 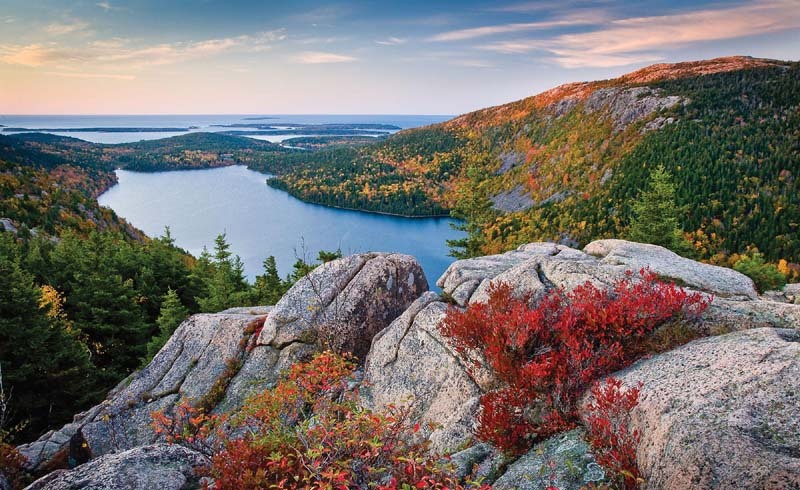 It's quite a unique experience to stand atop a seaside mountain and gaze out at the view of islands in Frenchman Bay. You can get a sense of the glacial boulder-strewn mountaintop terrain in this photo, too. An entrance pass is required to drive your vehicle inside Acadia National Park. Directions: Follow the Park Loop Road within Acadia National Park to the well-marked access road for Cadillac Mountain. Massachusetts' tallest mountain, Mt. Greylock, is the focal point of its first State Park, Mount Greylock State Reservation. 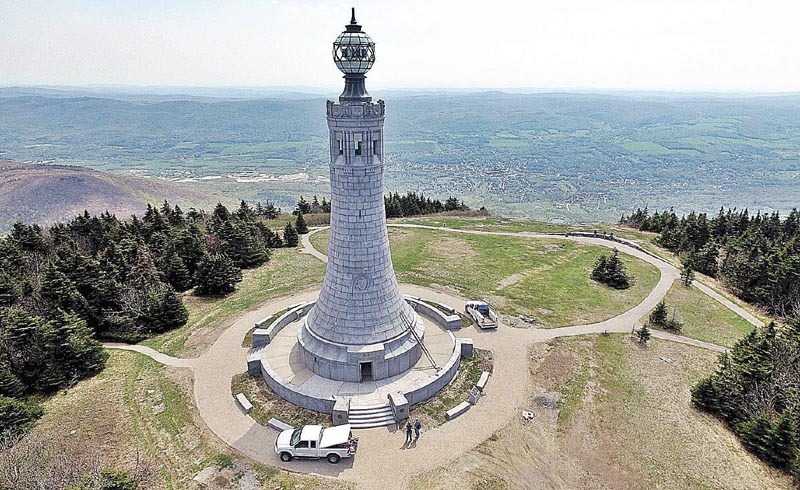 Though this 3,491-foot western Massachusetts peak can't rival Mt. Washington for height, it offers its own array of enticements. For starters, the road over the mountain is open to the public absolutely free from late May through November 1. There is a small fee for parking at the summit. When you drive the eight-mile road to the summit, you'll immediately notice the beacon-like structure at the top. This 92-foot Veterans War Memorial Tower was originally intended to serve as a lighthouse on the Charles River in Boston. Climb the tower for views of five states. Another surprise awaits atop Mt. Greylock. Bascom Lodge, a stone and wood retreat built in 1937 by the Civilian Conservation Corps, actually accommodates overnight guests. You'll find a full-service restaurant and restrooms inside, and if you don't mind rustic accommodations with shared facilities, call 413-743-1591 to book a bed in one of the co-ed bunkrooms for the night. A few private and family rooms are also available at affordable rates. Directions: From Route 7 North in Lanesborough, Massachusetts, turn right on North Main Street. Turn right on Rockwell Road and follow to the summit of Mount Greylock. Drive down the mountain on Notch Road, heading north toward North Adams. At the base, turn sharp right near the Mt. Williams Reservoir to stay on Notch Road, then turn right onto Route 2 East, the Mohawk Trail. The road over the mountain may also be driven in reverse. For Information: Call 413-499-4262. The Mount Greylock State Reservation Visitors Center is located at 30 Rockwell Road in Lanesborough, MA.